A program is a series of workouts that you create and 'save-for-later'. 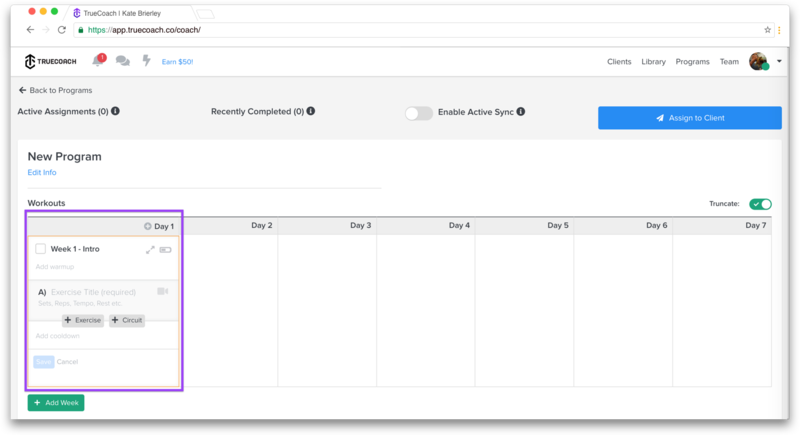 You can assign a program to a client (or multiple clients) at any time, starting them at any point. This is a big time-saver if you have multiple clients on the same or similar training regimens, or have workouts that you have your clients complete before starting them on their individual plans. If you unassign a program from a client, it will not remove any completed or missed workouts. Head to the Programs tab at the top right hand side of your screen to create a new program. 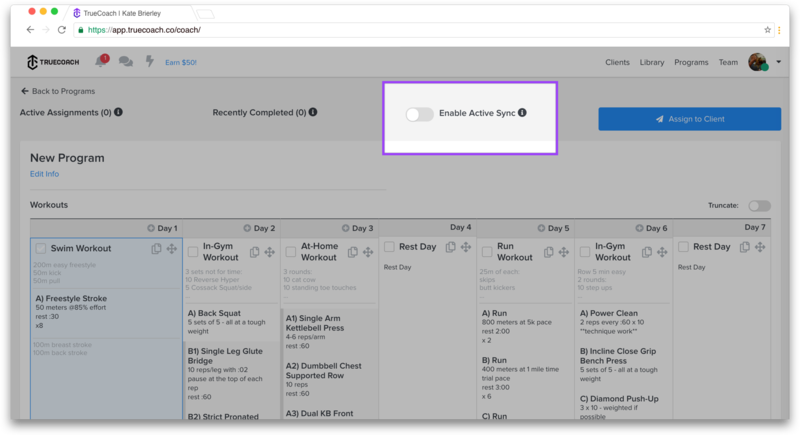 Once you have your program created, you use the workout builder tool to start writing workouts just like you would on a client's workout calendar. Any warm ups, cooldowns, or exercise videos you've created in your library will be available for use here. You can add weeks to the program at any time. On the programs page, if you'd like to assign it to more than one client, hold down the Command key while selecting multiple names. 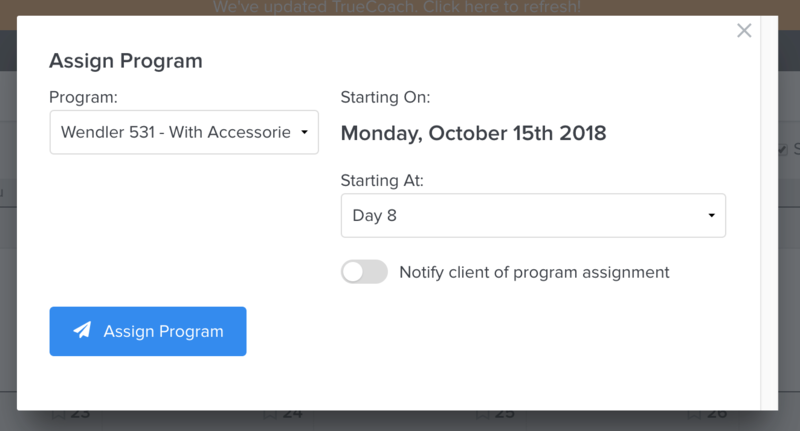 From the client's workout calendar you assign the program on a specific date, but you still have the option to choose what day of the program they will be starting on. You'll see below that I start this client on Day 8 of the Wendler 531 Program. 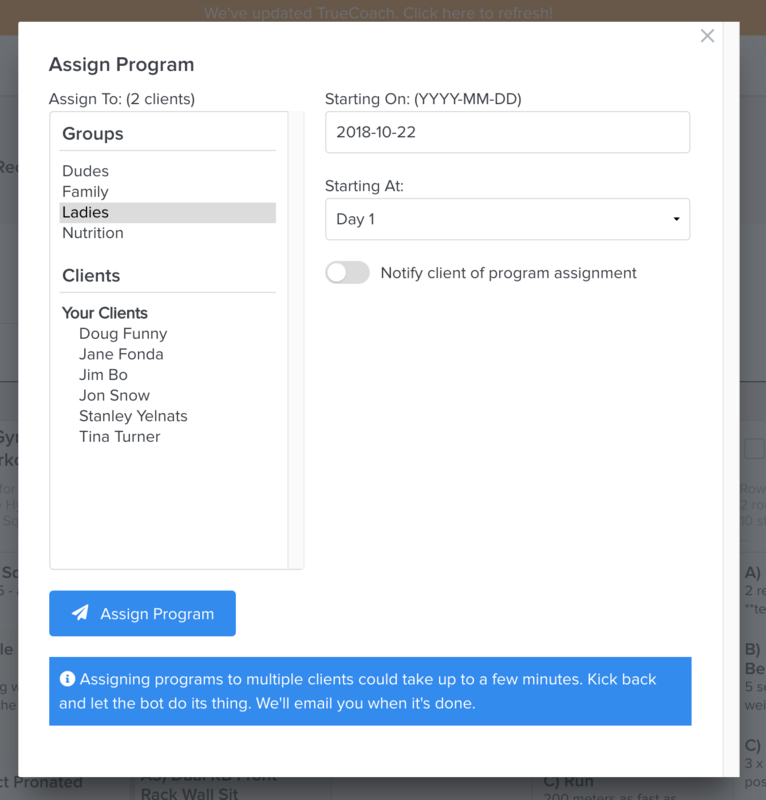 Once you've assigned a program to a client, any changes that you make to it on the client's workout calendar will not effect the program itself or any other clients workouts it's assigned to. You have the option to turn Sync on or off for each Program. 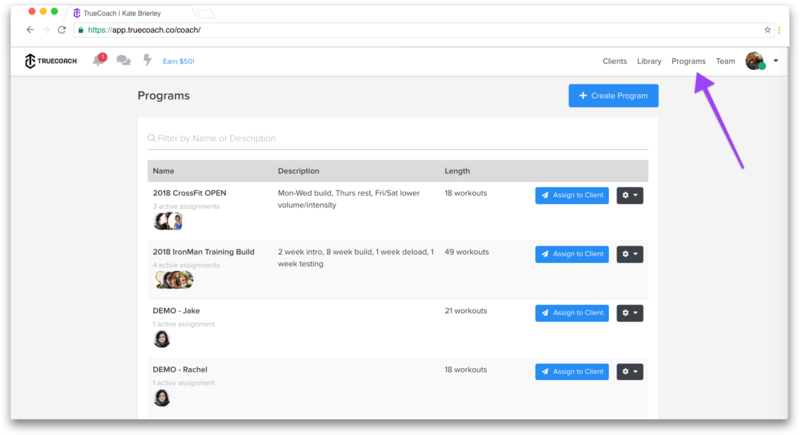 Any changes that you make to workouts will instantly update on all assigned client's workout calendars. Any changes that you make to workouts will not update on client's workout calendars. 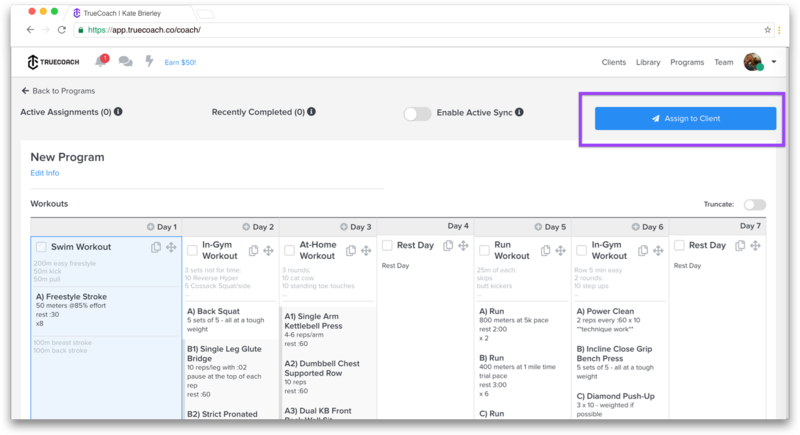 **Any changes made while sync was off will update on client's workout calendars as soon as you turn it back on.